is a Grassroots advocacy coalition of APNs, nurses and citizens in concert with our state nursing organization who are committed to improving healthcare in the state by removing scope of practice barriers. 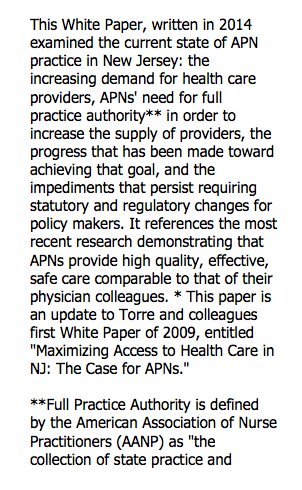 APNs are a solution to the healthcare access crisis. 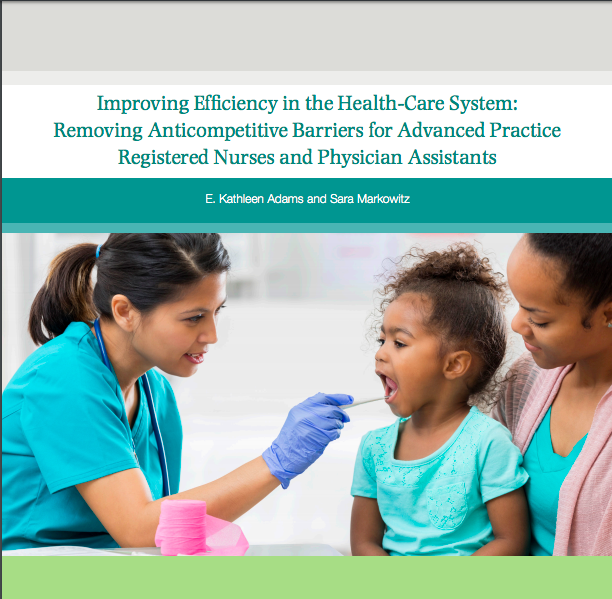 How much progress has been made in nursing toward the IOM's Future of Nursing recommendations? The Robert Wood Johnson Foundation's Dashboard of indicators reveals where advancement has been accomplished. After nearly two decades of debate, New Jersey is a big step closer to joining a consortium that would permit nurses licensed here to practice in 29 other states — and enable nurses in those jurisdictions to treat patients here. License renewal letters for the 2019 Nurse License Renewal will be mailed on or about March 21, 2019. The license renewal portal will be available on or about April 1, 2019. The late renewal period runs from 6/1/2019 – 6/30/2019. Licensees renewing during that time will be charged a late fee of $50.00. Nurses whose licenses expire on May 31, 2019, and who renew their licenses as "inactive" or select "inactive" in error, hold valid licenses and are eligible to work through May 31, 2019. Facilities may request that such nurses produce their licenses showing their eligibility to work during the period June 1, 2017 through May 31, 2019.Facilities may also contact the Board of Nursing directly at 973-504-6430 for further information. 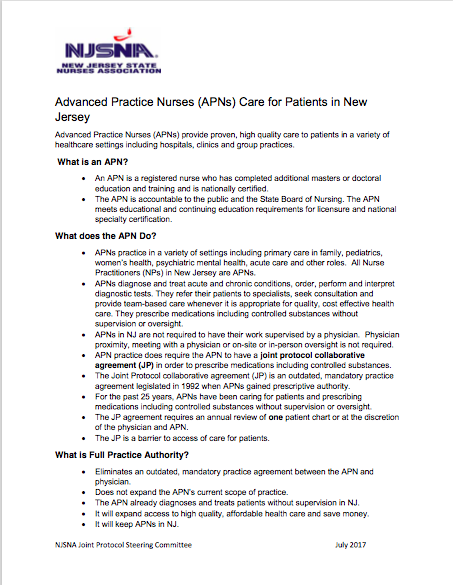 FREQUENTLY ASKED QUESTIONS For Advance Practice Nurses Licensed by the Board of Nursing. State law makes it unlawful for a prescriber to issue an initial prescription for acute pain for more than a five-day supply. In addition, the dosage authorized by initial prescriptions for acute pain is to be limited to the lowest effective dose of an immediate–release opioid drug. To better understand how to comply with this limitation and other rule changes, the Board offers the following guidance. Rules and regulations of the Division of Consumer Affairs, the boards and committees in, and other units of, the Division are codified in Title 13 of the New Jersey Administrative Code, published by LexisNexis. Notices of proposal and notices of adoption are printed in the New Jersey Register, also published by LexisNexis. The official text of the rules and regulations and their regulatory history and notices of rule proposals and adoptions can be found through the free LexisNexis Public Access Portal.